MultiMoveClip. With tilt swivel. With lock and key, two keys included. With long release lever. MultiMoveClip is for you who easily want to switch between different device holders on the same ProClip. Perfect if you have different cell phones but drive the same car, or if you want to place your GPS where the cell phone usually sits. You attach the MultiMoveClip onto your ProClip in your car and it is then ready to use with your device holders of choice. 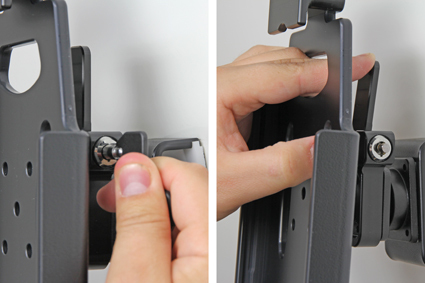 Your device holders are fitted just as secure as if they were screwed directly onto the ProClip. 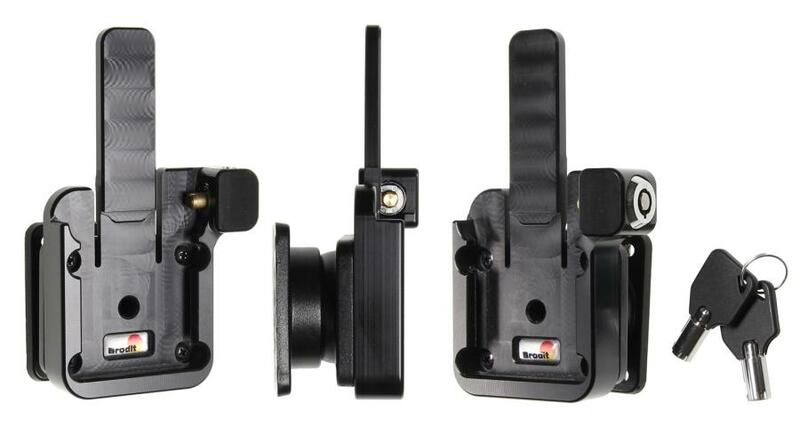 This MultiMoveClip is fitted with a key lock, so you device holder is held extra securely in place. 1. 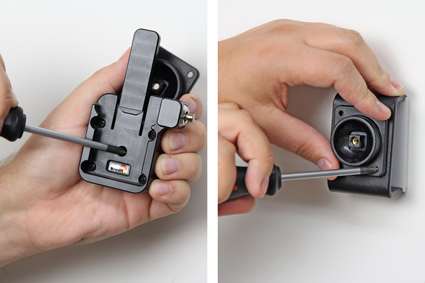 Loosen the screw in the center of the MultiMoveClip so you can remove the tilt swivel attaching plate on the back. Place the attaching plate onto the desired position. Screw the attaching plate into place with the enclosed screws. 2. 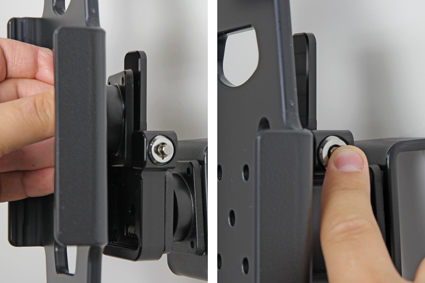 Place the MultiMoveClip over the attaching plate so the screw fits in the hole in the center. Tighten the screw until the MultiMoveClip is firmly in place, but still can be adjusted. 3. To place the holder into the MultiMoveClip: Slide the holder downward into place from above. Press the button to lock. 4. To remove the holder from the MultiMoveClip: Use the enclosed key to open the lock. 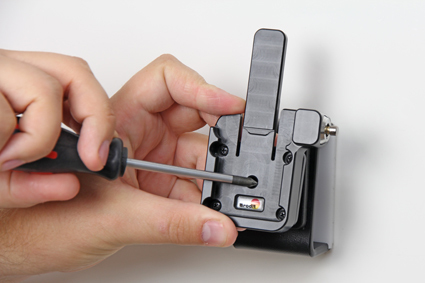 Press the latch on the upper part of the MultiMoveClip forward. In the same time push the holder upward and out of the MultiMoveClip.